The Balkan Universities Association is a free association of the founding universities and is open to other universities in the Balkan Area. The Balkan Universities Association will be registered as a nongovernmental association. The Permanent General Secretariat of the Balkan Universities Association will be assured by the Trakya University, at its own expense and logistics. Trakya University will serve as the Permanent member of the Executive Committee of BUA. The founding members of the Balkan Universities Association are the universities which participated to its foundation, by signing the constitutive act. 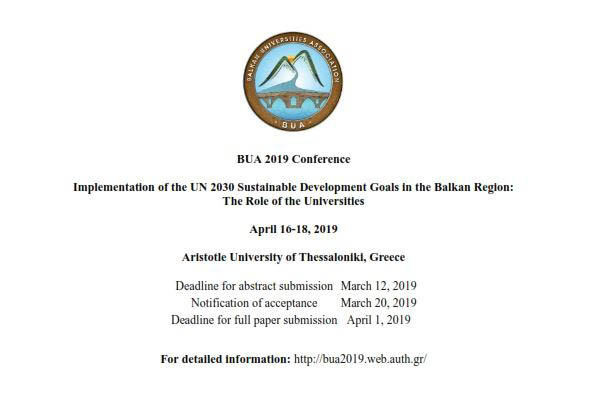 The adhesion request of the applicant universities to the Association must be submitted to the Permanent General Secretariat of the Association and their applications will be validated through the majority of votes of BUA members at the Balkan Universities Association’s Congress. The governing body of the Balkan Universities Association is the Congress, which is annually organized by the university which holds the presidency. The Congress elects the next president of the Balkan Universities Association. Between the congresses, the leadership of the Balkan Universities Association is provided by the Executive Committee, which is formed by the former president, the current president, the future president and Trakya University. Throughout the fourth mandate, the place of the former president will be honorary occupied by the representative of the Aristotle University of Thessaloniki. The President of the Executive Committee is the current Rector of the Member University. The decisions related to the structure of Balkan Universities Association are adopted by majority vote of BUA members. The Presidency of the Balkan Universities Association will be ensured, by rotation, by the member universities of Balkan Universities Association. The mandate of president of the Balkan Universities Association can be exerted by the current Rector or the current President of a member university of the Association. The mandate of president of the Balkan Universities Association is 1 year, starting from 1st of January until 31st of December, and cannot be attributed to the same university sooner than 5 years from the last mandate’s expiring date, held by the same university. Two consecutive mandates of President of the Balkan Universities Association are excluded for universities of the same country. The first mandate of President of the Balkan Universities Association goes to the Rector of the Trakya University and starts on the date on which the constitutive act of the Association is signed and it expires on the 31st of December 2015. The Fourth mandate will be exerted by “University of Tetova”.